Jenny has been practicing physiotherapy since 1988. She completed her Masters of Sports Physiotherapy in 2001. She currently flies with the Royal Flying Doctor Service (RFDS) Thursdays and Fridays to Bourke (800km from Sydney). In Bourke she provides physiotherapy services to the large indigenous population as well as the wider community. Appointments are available at Neutral Bay Medical Practice on Monday, Tuesday, Wednesday and Saturday. Jenny completed her undergraduate degree in Sydney in 1988. She went on to attain a Masters degree in Sports Physiotherapy in 2001. Apart from her grad year at Royal North Shore Hospital, she has primarily worked in private practice and sport related settings. She had a successful practice in the MLC centre Sydney for 7 years. There she was fortunate enough to work with many performers from Cameron Macintosh shows and musicians from the Australian Opera and ballet orchestra. Jenny sold the MLC Centre practice to spend more time working with Tennis Australia. As well as tournament work, she has worked with the Fed Cup team and at the Australian Open. In addition to this work in Australia, she has worked in private practice in England and in a European Ski Resort. 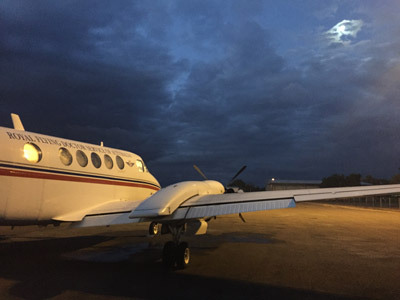 In the last two years she has spent Thursdays and Fridays flying to Bourke with the Royal Flying Doctor Service (RFDS). In Bourke she enjoys the wide variety of physiotherapy practice, and the opportunity to make a difference to quality of life in a geographically isolated environment.